Under Calendar options, click Add Holidays. Select the check box next to each country/region whose holidays you want to add to your calendar, and then click OK. Note: Your own country/region is automatically selected. Holidays for country/region are already installed. Do you want to install them again? If you click Yes, the holidays and events are installed again, and you see duplicate holiday and event entries. Note: The holiday information that is provided with Outlook 2010 includes items during Gregorian calendar years 2009 through 2020. If you are using a non-Gregorian calendar, items that occur during the same time period are included. You can also follow these steps to delete any duplicate holidays that were added while you were adding holidays to your calendar. In Calendar, on the View tab, in the Current View group, click Change View, and then click Events. Note: If you don't see Events, make sure that you are in the Calendar view. The Events command doesn't appear when you are in other views. In the Navigation Pane, click Calendar. Select the holidays that you want to delete. To select multiple rows, press the CTRL key, and then click other rows. Tip: Click the Calendar icon to select a row. Don't click in the data cells of the row. On the Home tab, in the Actions group, click Delete. Tip: To quickly delete all of the holidays for a country/region, click the Location column heading to sort the list of events so that it displays all of the holidays for a country/region together. Outlook includes predefined holidays. However, what if you want everyone on your team to display company holidays and events, such as corporate paydays and quarterly expense due dates, in their calendars? You can create your own custom holiday set and distribute it to other people on your team. 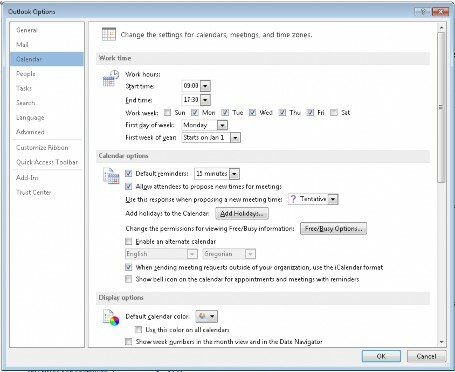 Tip: Instead of creating custom holiday files, consider creating and sharing custom calendars. Find links to more information about sharing calendar information in the See Also section. Warning: Change the Outlook.hol file at your own risk. Both Cobweb and Microsoft provides this procedure "as is" without warranty of any kind, either express or implied, including, but not limited to, the implied warranties of merchantability and/or fitness for a particular purpose. Note: If you add the same custom set of holidays again, you will get a duplicate set of the holidays in your calendar. Therefore, you should create a custom holiday set instead of customizing an existing set. 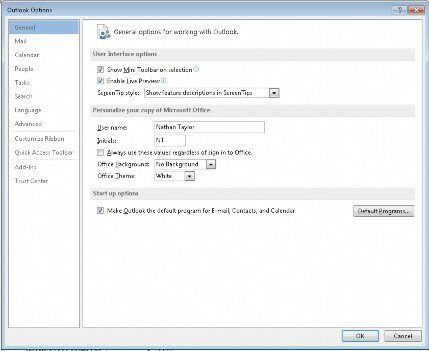 Using a text editor, such as Notepad, open the Outlook.hol file. Press CTRL+END to position the cursor at the end of the file. Type a new header and custom events by using the format described below. 7. Save and close Outlook.hol. The next time that you run Outlook, the new Expense Reports dates are available to add to your calendar. Send an email message that has the Outlook.hol file attached. Place the file in a shared folder on your network where other people can copy the file.